Winter is approaching and you are planning a trip to Tromsø? You've maybe heard of the ice hotel in Kiruna or Kirkenes? As of last winter (2017/2018), there is also such an ice hotel near Tromsø. Initially not designed as a hotel, demand soon required the option to stay there and this should be possible from this winter onwards. The tour started in the city center and led over the famous bridge over to the mainland and past the Arctic Cathedral. Then it quickly went into the surrounding area of the city. If you come to Tromsø without a rental car and still want to see some of the beautiful landscapes, you can do this trip for the views alone - good weather permitting of course, to be able to see a lot from the bus. Snowy mountains and partly frozen fjords - just winter in Northern Norway at its best. After about a 90-minute drive, we’re finally at the Ice Dome. It is located directly in Camp Tamok - an adventure center in the middle of the Lyngen Alps. Upon arrival, the tour of the Ice Dome starts immediately. Several rooms were built, including two bars, a bedroom and a cinema where a movie about the construction is shown. The whole "building" is decorated with ice sculptures depicting the attachment of the region to the Sami people and the surrounding nature. After the guided tour, there was a bit of time left to take a closer look at individual rooms or to visit the rest of the camp before returning to the bus. Since there are several departures from Tromsø and other activities being offered in the camp, you can combine the tour, for example, with a snowmobile safari or a reindeer/dog-sleigh ride. But why is the camp so far away and not closer to the city? Well, as we were told, in this secluded valley, the weather conditions are ideal for the Ice Dome. The temperature remains cold long enough to build the Ice Dome and maintain it for a long time. Defrosting isn’t the main problem, though. The Ice Dome slowly starts to sink down due to its own weight. As I was there towards the end of the season, you already had to bend down at some of the doors, which isn’t something you need to do at the start of the season. Furthermore, the place is close enough to the Finnish border to get the raw material needed for construction: crystal clear ice from the Finnish lakes, which freeze way faster than the Norwegian fjords. The Gulf Stream and salt water often prevent the fjords from freezing and even the fjords' outlying arms freeze too late to build the Ice Dome out of their waters. Now there’s also the option to stay at the ice hotel from this winter as there have just been so many requests for it... From the middle of December 2018, 7 bedrooms will be available in the Ice Dome, which can be booked through Airbnb or the homepage of Tromsø Ice Domes! Sign up for Airbnb with this link and receive 350 NOK in travel credit as a gift from me! The price of 12,500 NOK (ca. $1500) per night is really not cheap, but the day trip at 879 NOK (ca. $108) is just about alright, I think. I really recommend the day trip to those who have never seen an ice hotel or ice dome and would like to do so - also because of the great views of the surrounding landscapes during the bus trip itself. You can book the day tour to the Ice Dome here! Jan Gabriel works as a train conductor in Germany and likes to explore Norway and the North whenever he has some time off. You can follow his adventures at home and abroad via Instagram (@jangabriel91). 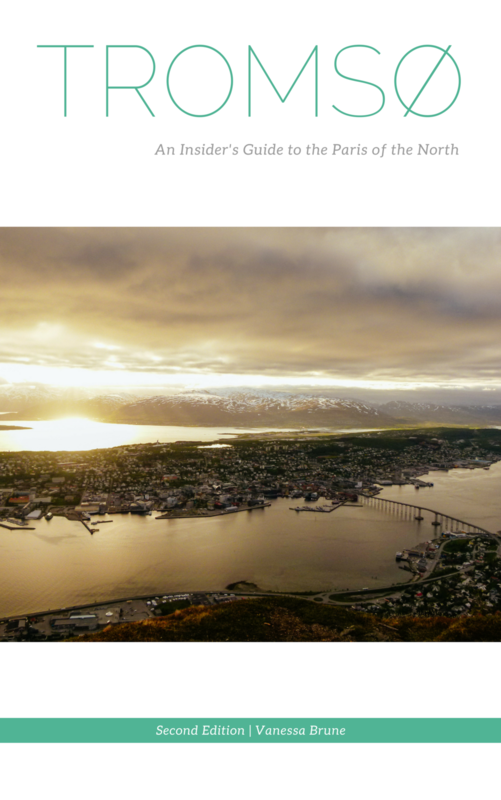 Curious to learn more about tromsø?